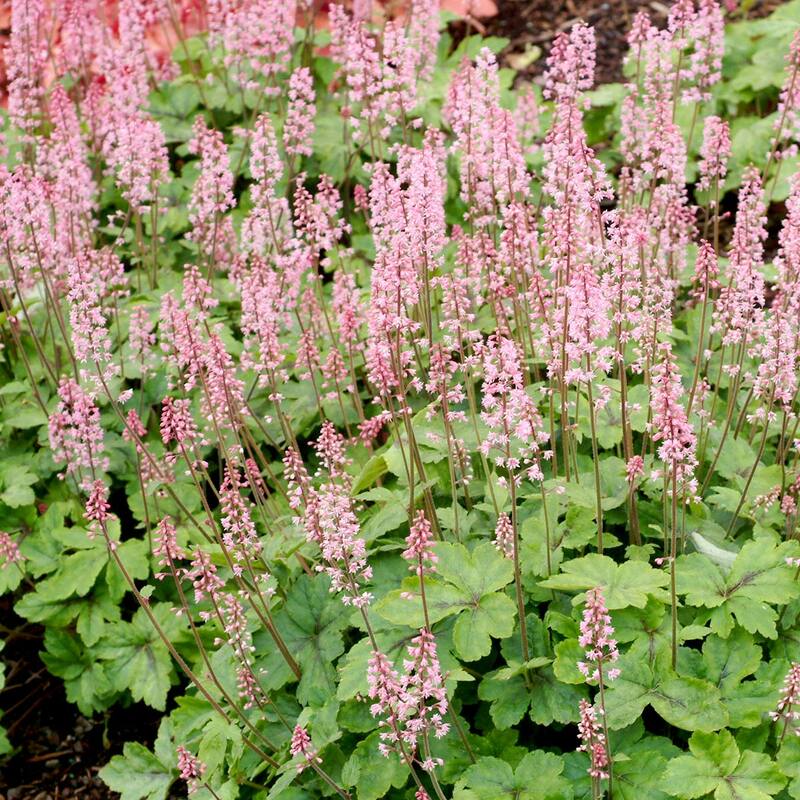 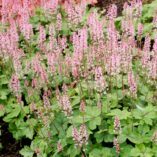 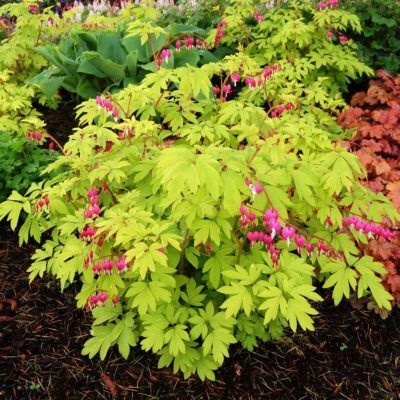 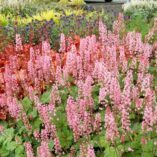 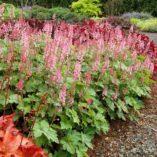 Heucherella ‘Dayglow Pink’ | TERRA NOVA® Nurseries, Inc.
'Dayglow Pink' has cut, rounded medium to light green leaves with a slight chocolate center and bears masses of showy pink flowers in late spring/early summer. 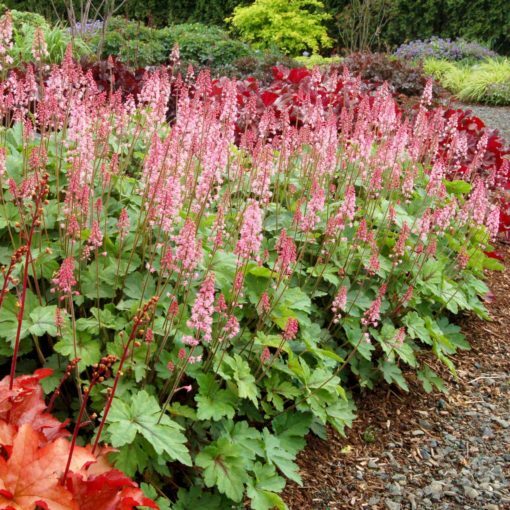 Tried and true with a neat compact habit. 7" / 14" / 16"
Prefers well-drained, humus rich soils. 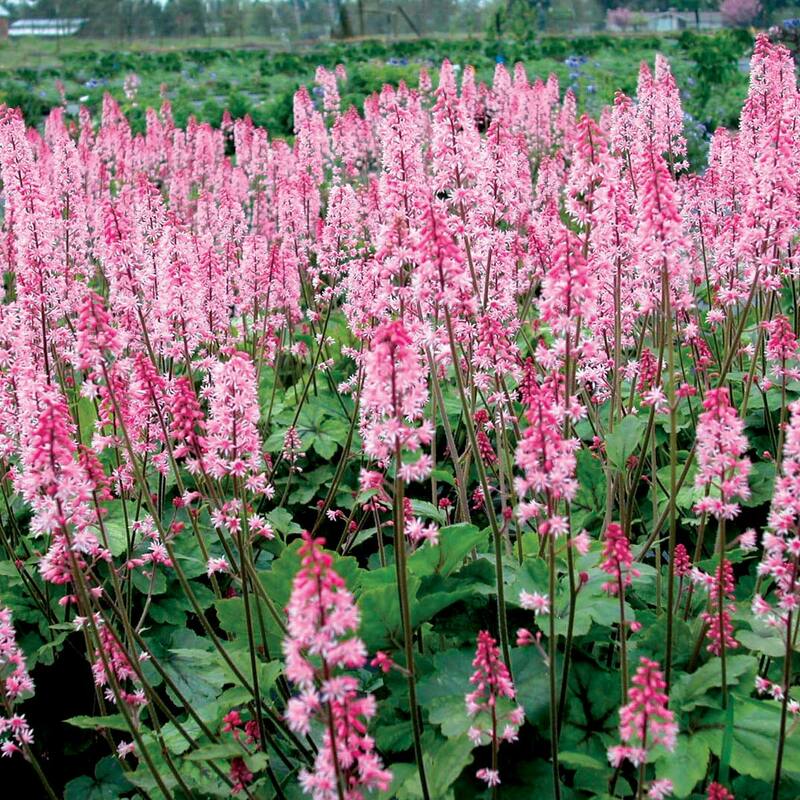 Average. 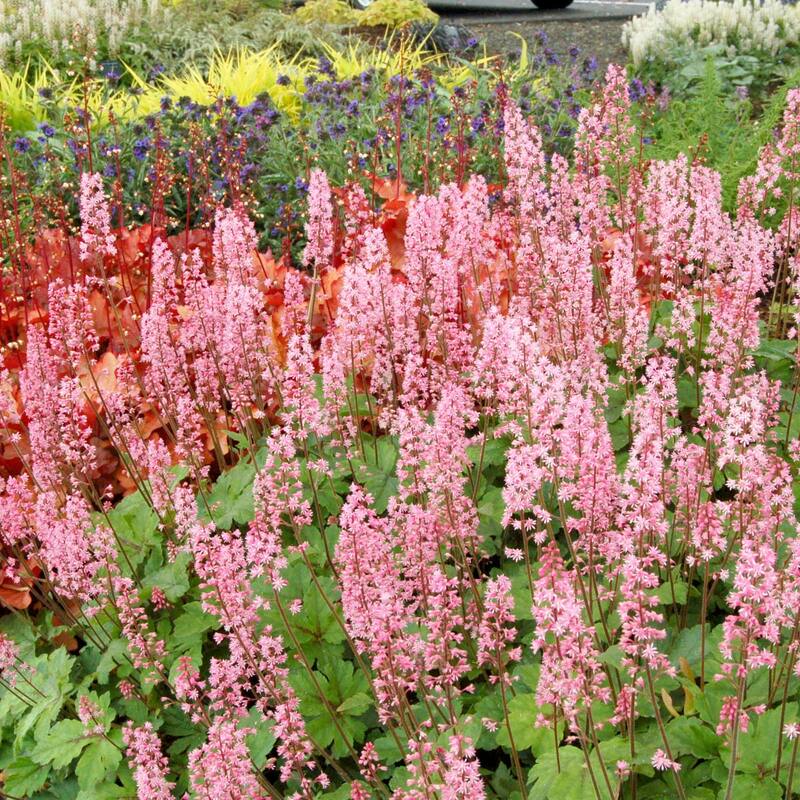 They like more moisture than the Heuchera. 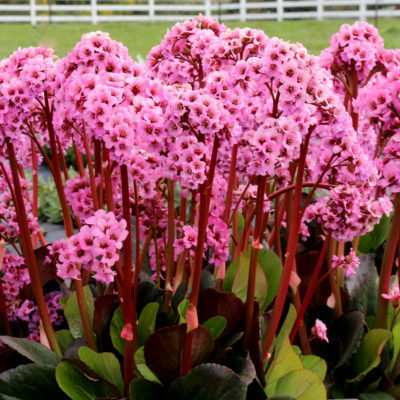 It has cut green leaves with a chocolate center with really nice dark pink flowers. 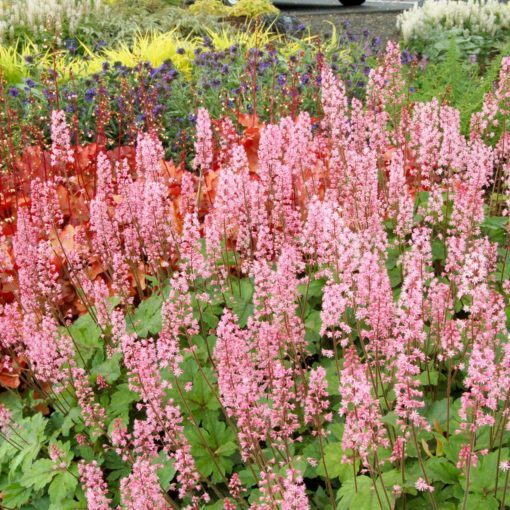 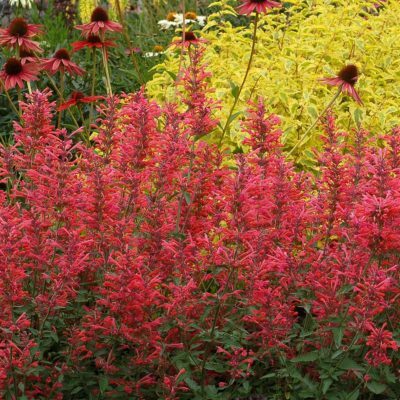 Mass planting, accent, container, border or mixed beds. 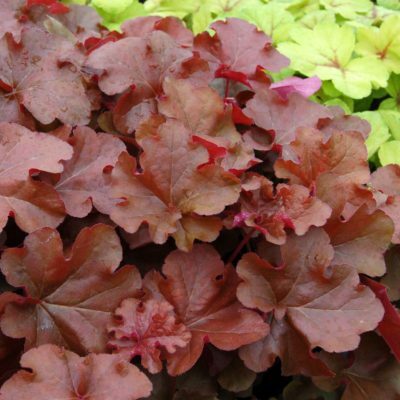 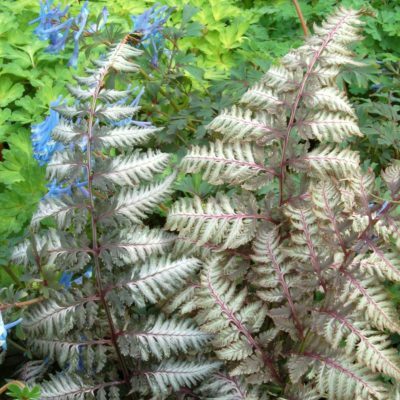 Heucherella do not need to be lifted and replanted like many Heuchera.